And now for something not entirely different – collecting! It’s been a very long time since I collected any additional CDVs. Perhaps a year or more. So I was overdue. 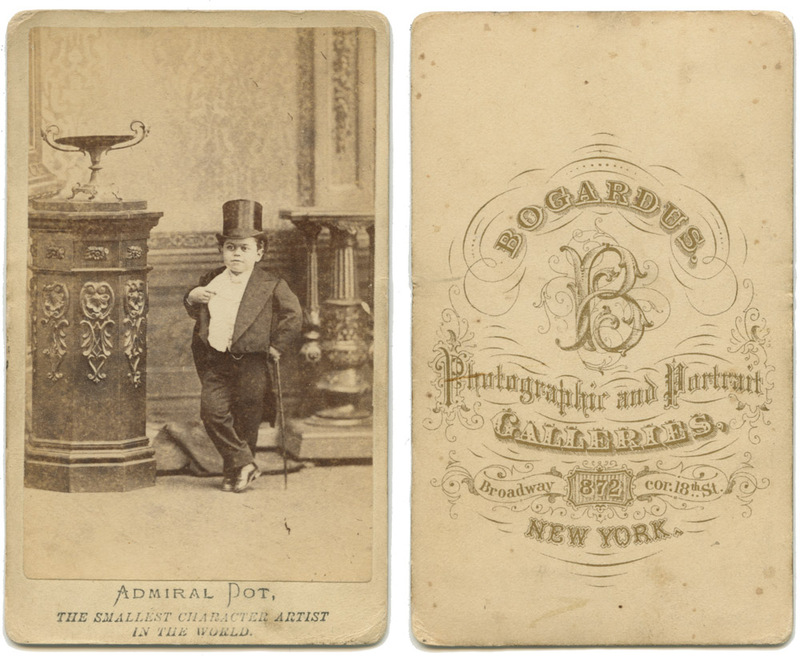 Here is another one of my circus freaks (I’m using the period appropriate term for them, no disrespect meant to any little people who might find the term offensive): Admiral Dot, a contemporary and colleague of Tom Thumb. This is my third CDV of Admiral Dot, but the first one to have the photographer identified on the verso. The other two were from negatives sold to E & HT Anthony who then reproduced them with their own stamp, no other credit supplied. I’m really starting to think of these circus performer CDVs as a subspecies of occupational image – they’re showing the performers in their stage attire, doing what they do to get paid. It’s not exactly the same thing as a cobbler with a leather apron, some awls and a shoe, or a cooper with a hammer, metal hoops and barrel staves, but nonetheless, they are enacting for the camera that which they do professionally.